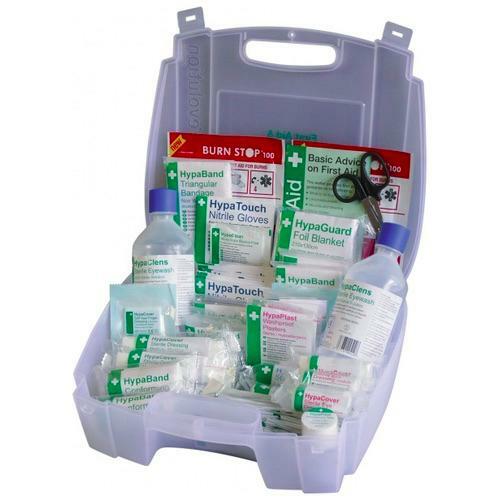 Evolution British Standard Compliant First Aid & Eyewash Kit is a complete first aid and eye care solution which includes a Compliant First Aid content and two 500ml HypaClens Eyewash Bottles. 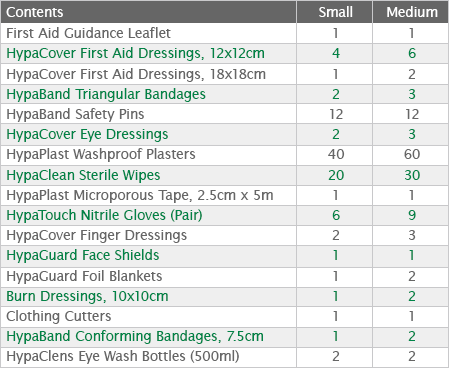 All the items are stocked together in a durable hinged case and the design of the case makes it easy to transport to the casualty. 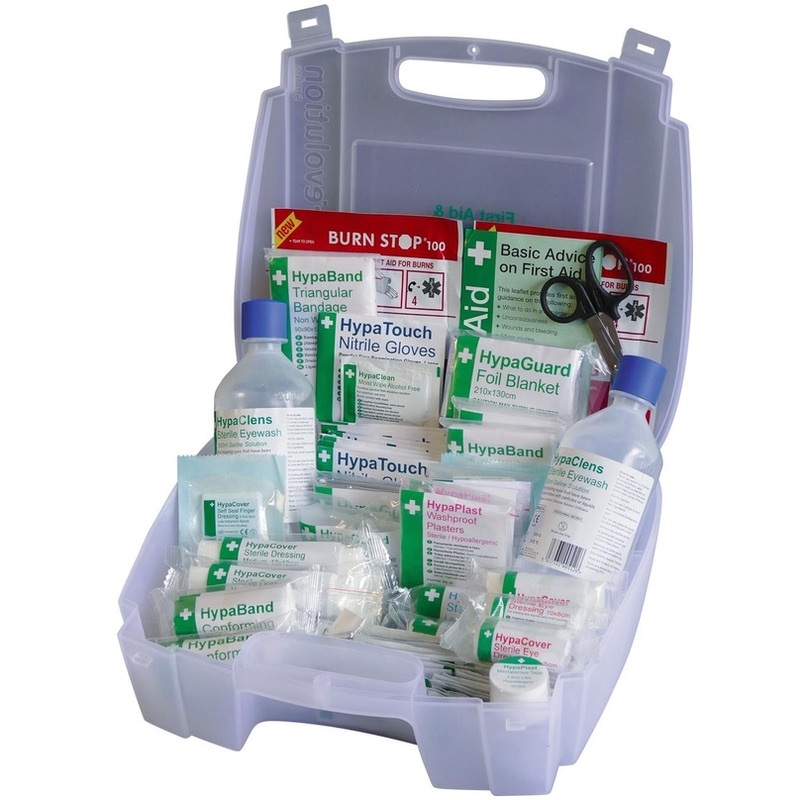 Evolution British Standard Compliant First Aid & Eyewash Kits can be mounted on the wall with the help of a bracket (not included in the kit). Available in a small or medium size kit.